I like anybody who takes time to make sports more stylish. 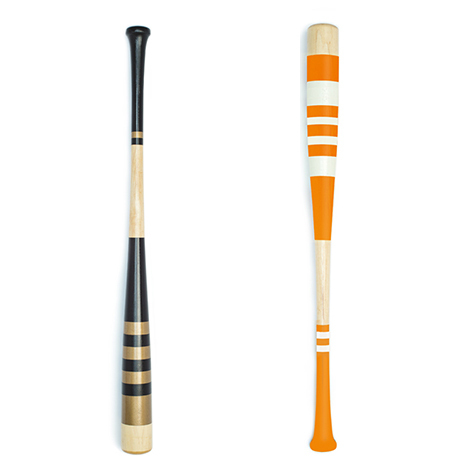 I mean, baseball is boring enough, but alas, I perk up at the idea of a well designed, colorful baseball bat. How can that not be a good thing? Jeremy Mitchell is a visual artist and filmmaker living in Nashville, Tennessee. With a strong love for baseball and design, he's combined his passions to create Michell Bat Co. With his handiwork, the ubiquitous beige bat is finally getting a makeover. Jeremy hand paints dozens of bats and gives each one a name like The Nashville, The Tampa Bay or The Southsider. Each bat is made of solid maple and is 33" long. 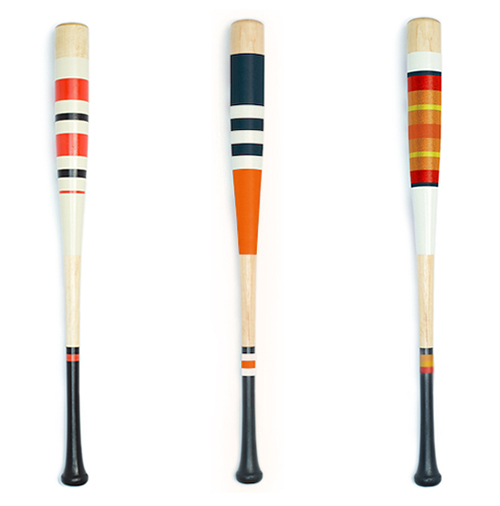 Plus, as the bats are made to order, Jeremy can create custom colors of your choosing. A portion of the proceeds from all sales will go to mlb.com/rbi, an organization that revives baseball in Inner cities. Love that. I love this creation too. 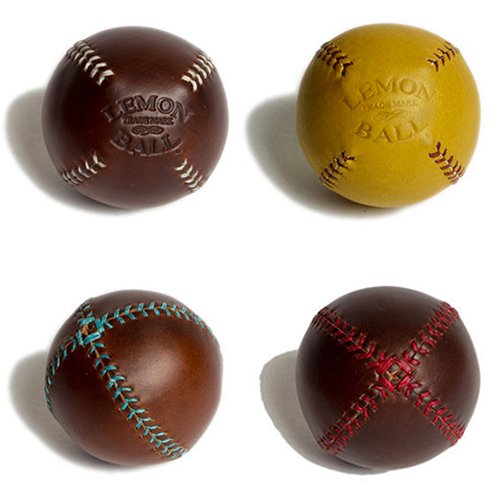 It's the Lemon Ball Baseball made from Horween Chromexcel leather. As stated on the site, "Lemon Ball baseballs are classic baseballs inspired by the original lemon peel style base ball from the early 19th Century." For $38 bucks, it's a pretty cool gift.